The New Horizons mission will provide the first in situ investigation of objects in the Kuiper belt, making it a unique voyage of discovery. And it’s unlikely we’ll see a similar venture into the solar system’s “third zone” for at least two decades, if not longer. We’re all looking forward to the remarkable discoveries New Horizons will provide on the properties of Pluto and its moons, but the scientific implications of the results will go well beyond what we’ll learn specifically about the Pluto system. Let’s step back for a moment to ponder the broader implications of what we hope to learn from New Horizons. Think back to the discovery of Pluto itself in 1930, and how it was viewed during the next six decades. Pluto seemed to be an anomaly, a tiny object among the gas giant planets in the solar system’s “second zone” (Earth and the other rocky planets – Mars, Venus and Mercury – comprise the “first zone”) whose highly eccentric and inclined orbit made it stick out like a sore thumb. But our eyes were opened after the discovery in the 1990s that the region beyond Neptune was teeming with objects, including many “dwarf planets” like Pluto and Charon. In the afterglow of a successful flyby of the Pluto system, we will start searching for connections between what we just saw and the rest of the solar system. 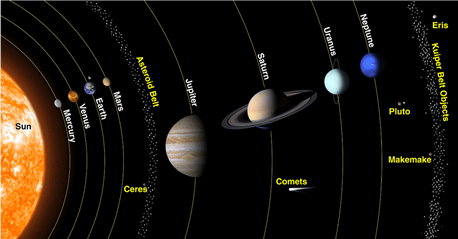 How will the results from New Horizons affect our understanding of comets, many of which originally came from the Kuiper Belt? Will our studies of Pluto’s “mini solar system” reveal more clearly how planet formation works? How does Pluto compare in detail to Triton, Neptune’s largest moon, and to Titan, Saturn’s largest satellite, and to Ceres, the largest asteroid? How do Pluto’s smaller satellites compare to the Jovian Trojans, and to other small Kuiper Belt objects? What can Pluto and Charon tell us about the origin of the Earth-moon system? Ultimately, our long-term goal on New Horizons is to “put it all together,” to place the Pluto system in context, and to understand better the implications for the solar system’s formation and evolution, and what that implies for exoplanetary systems. 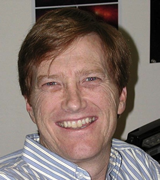 Hal Weaver, the New Horizons project scientist from the Johns Hopkins University Applied Physics Laboratory, is the principal interface between the science and engineering teams.